Fans of spicy food and game-themed food enthusiasts can both find cause to celebrate, as the fine chefs over at Lvl.1 Chef have published the recipe to Lava Soup. 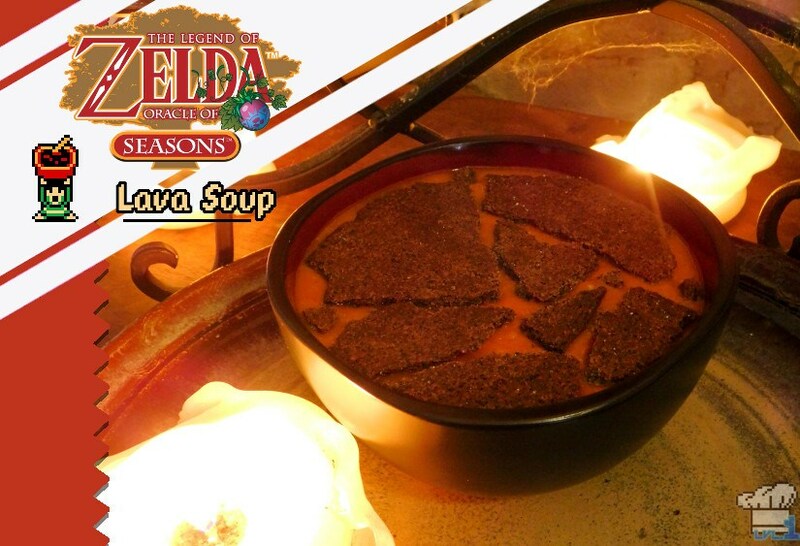 Lava Soup, featured in Oracle of Seasons, is a trading item made of actual lava and magma, but the chefs used spiciness for obvious reasons. The recipe specifically uses habenero peppers to create an extremely spicy taste, and also calls for tomatoes, onions, garlic, red bell peppers, salt, pepper, vegetable oil and lime juice. The aim was to create a soup that looked like lava, and there is a second recipe included for black bean crackers as well. I think this is a pretty cool dish to make. It looks to be a complex recipe and not suitable for those with low tolerance for spicy food. However for those that do enjoy a spicy dish, it seems to be the perfect meal. Habenero peppers are far too spicy for my own taste, but I might make it with fewer peppers to lessen the overall spiciness. What do you think of the Lava Soup recipe? Would you eat it? Let us know down below!